Last night the immense Silly Venture 2018 competitions took place. Lasting over seven hours we could se a lot of entries in many, many categories, especially the Atari XL graphics and Atari ST music stood out with many submitted pictures and songs. On the demo side it was a bit of an Atari Falcon resurgence with some very strong productions both in the 030 and 060 side of things. As usual, the entries are collected at Demozoo and will be dropping in one by one, see link below. The Riverwash party in Katowice, Poland was held from Friday to Sunday this weekend. In the compos we saw Lamers back coding the Falcon. It's an invitation for the forthcoming Silly Venture 2018 and features a glimpse of MKM's new 3D-routines for the Falcon 060.
Who would have guessed? Hyperactive ST-crew SMFX is back with a new release called SMag-FX. But not what you would usually expect from SMFX, no this time it's a brand new diskmag for the Atari! The first issue have a Sommarhack theme with views from several visitors. Along with the magazine is a an intro by DHS. Both the mag and intro runs on any ST/Falcon/TT with 512k or more memory. 16kb intro by Dekadence (Finland). Every received entry will be confirmed by the organiser. Nordlicht 2018 was held this weekend over in Bremen, Germany. We got to see a few Atari releases in the competitions; one 512 byte intro for the Atari ST by GGN/KUA, an Atari VBXE demo by Desire and Insane, and finally Newline strikes back with a new Atari ST intro. Get all stuff from Demozoo as usual, videos are ready for all three prods. 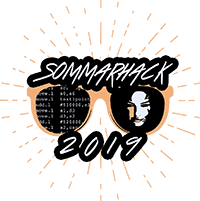 This years Sommarhack competition was held a few hours ago, and all entries can now be downloaded from Demozoo. When we get back from the party, we'll try to churn out videos of most releases. There are three graphics, three music and nine demo/intro entries. Thanks to everyone who participated in the compos or visited the party! Strider of MJJ Prod informed us today that they've released a new 16k into for the Atari ST at VIP 2018. The intro is called "Oh no! More dots" and it features.. yeah you guessed correct. GFA Basic programming by Strider and Gloky and music by Tao. We've also gotten our hands on a second intro for Atari STe made by Tomchi and friends as well as a maxYMiser chiptune by Tomchi. 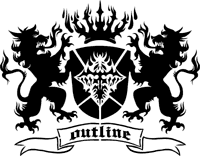 Outline 2018 was held in Willemsoord, The Netherlands over the past weekend. Some Atari demos and intros were on display in the compos, including new stuff from Dekadence, FUN, KÜA, Effect, SMFX and DHS. Who would have guessed, but Tat of Avena returned to Atari ST with a nice 4k intro today called '44'. It's been a nineteen year long vacation, but who's counting! The intro features code and music by Tat himself and design inputs from NBZ and Fried. 323 new/updated SNDH files (1209 subtunes). We slug out another SNDH update.